You may know that odd sense folks can have around babbling babies. You know, the one where you're positive that they aren't just echoing sounds they've heard and are actually communicating, saying something meaningful... but with who? Babies can occasionally feel just a little bit creepy, the way that they stare off into nowhere and suddenly start chattering away with something clearly very important on their minds. Well, with the sudden development of a certain baby's superpowers, we're beginning to figure that all little tykes might know a bit more than they're letting on about! 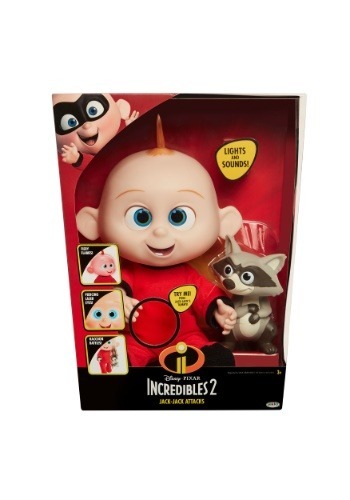 Try to get in on some of that tyke translation with this Jack-Jack Doll from Incredibles 2. 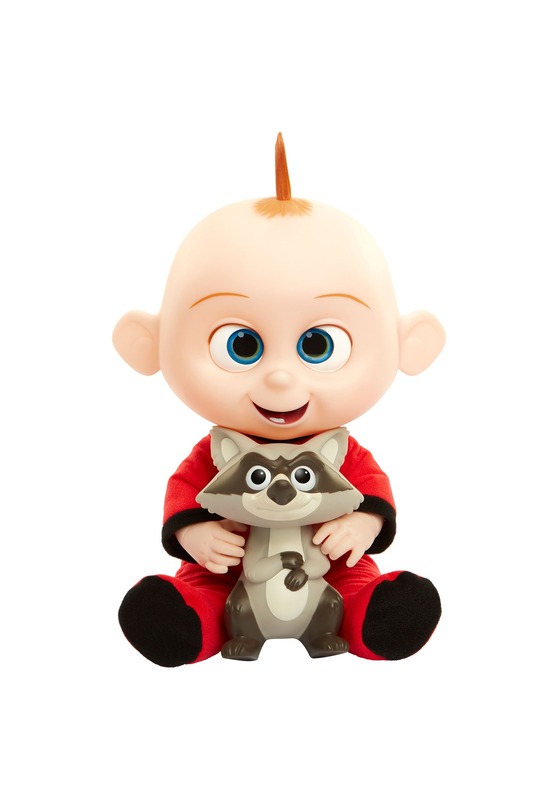 This sweet little babe is obviously the perfect picture of innocence, but he's got a secret that he's hiding, and it isn't just his cute raccoon friend! Give this 14" babe a squeeze and watch his eyes glow blue as he unleashes a torrent of cute coded babbles that just might give you insight into the world of tot thoughts.